Sectional couch, with a new 50 inch Roku TV. This is the hall bathroom. 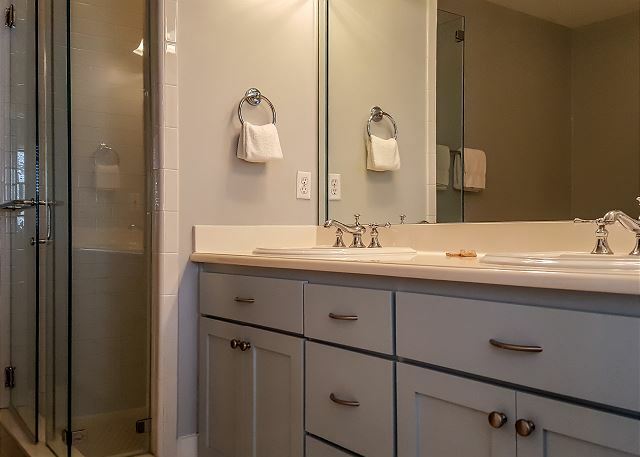 It has a tub/shower combo accented with beautiful white subway tiles and a spacious double vanity. 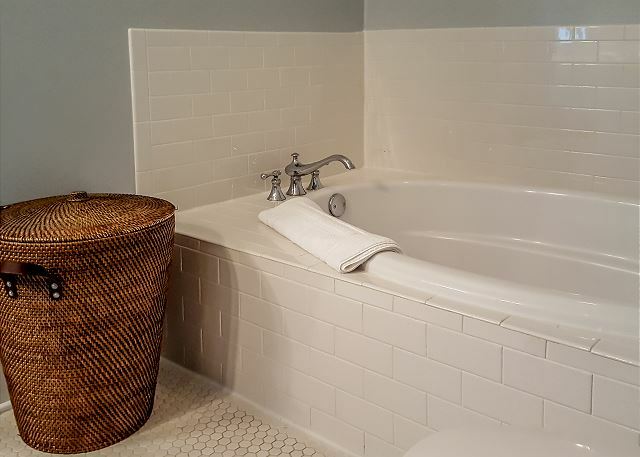 The master bath offers a double vanity, nice stand up shower with white subway tiles, and a garden tub! 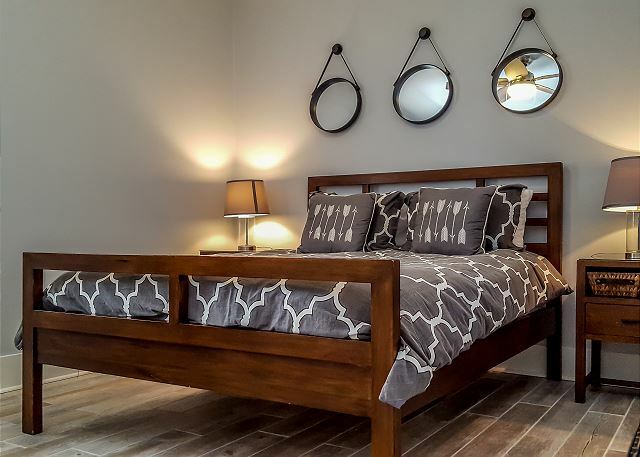 This beautifully furnished top floor condo has everything you'll need for a quiet getaway. 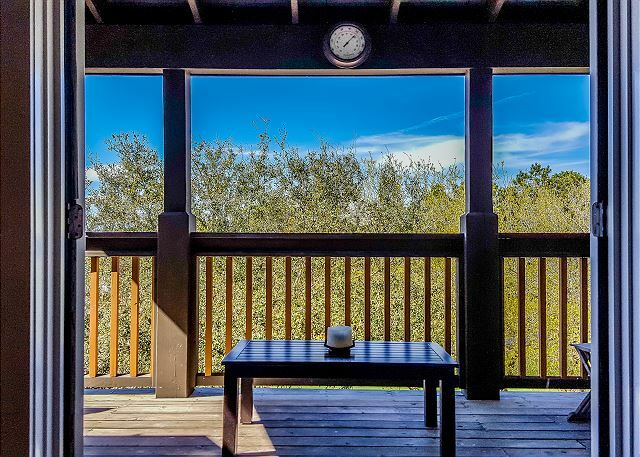 Situated on the north side of 30A, it sits among the treetops and overlooks the green lawn of Rosemary Beach's St. Augustine Park. You can easily pick up a game of bocce on the park or just relax and enjoy the greenery. 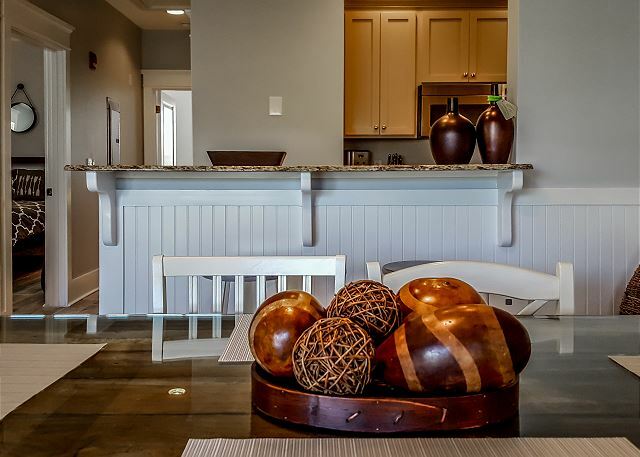 The light colored interior is perfectly blended with the beach environment. 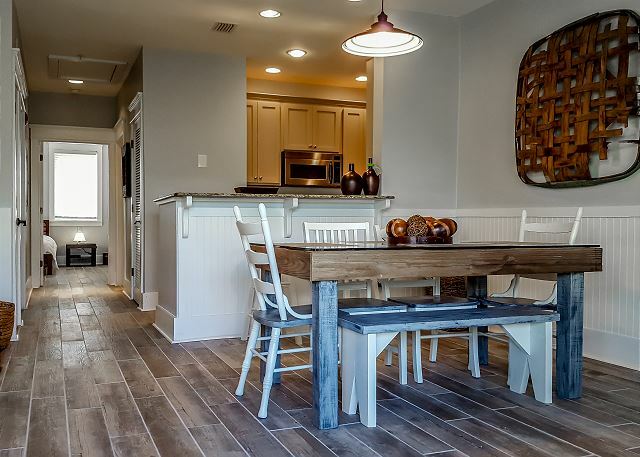 The flooring is a plank tile which resembles a barn wood finish and complement the granite counter tops and stainless steel appliances. 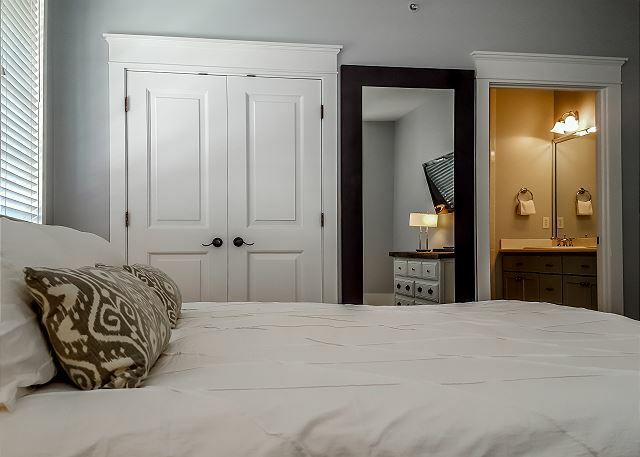 The generous master bedroom has a king size bed and a 4-piece master bath with a large tub and glass enclosed shower. 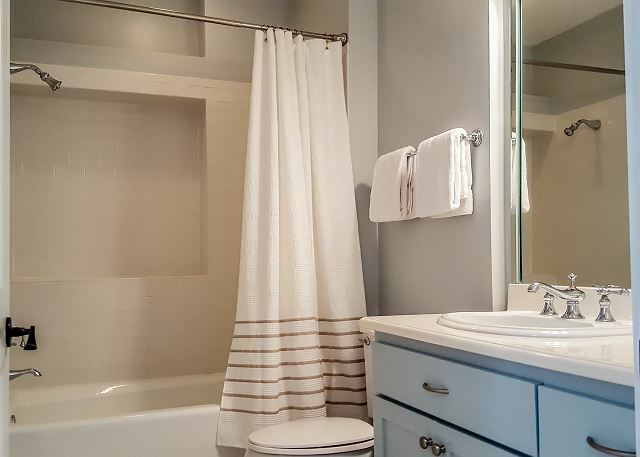 The guest bedroom is spacious, as is the 2nd full bath. Both bedrooms are down the hall from the main living area which opens up to a full length covered porch through french doors. 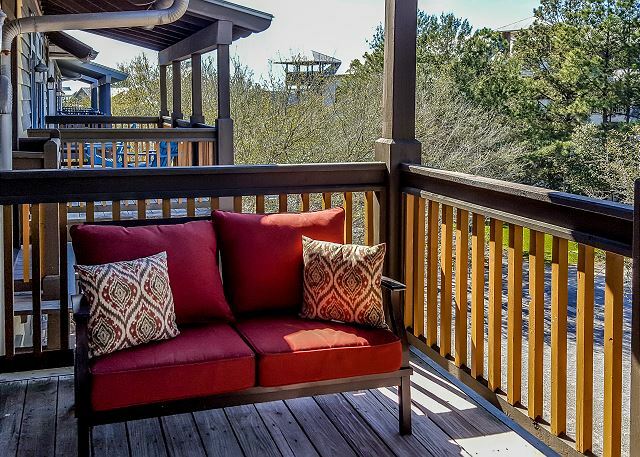 This 3rd story flat comes with elevator or stair access and has views of the park as well as the idyllic 'Rosemary Rooftops'. 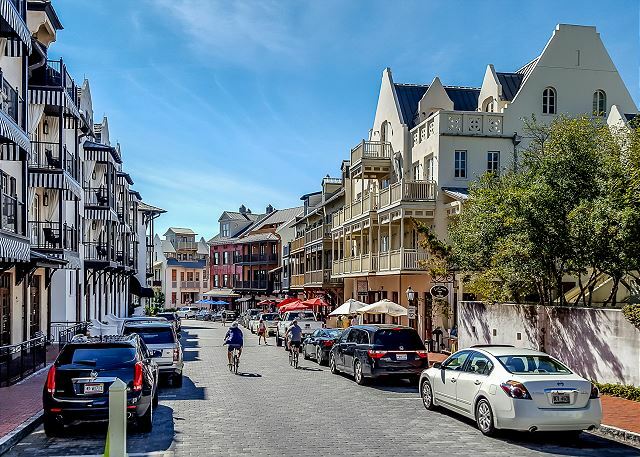 Access to all the galleries and restaurants of Rosemary Beach's community is through storybook lighted paths and rosemary laden boardwalks. 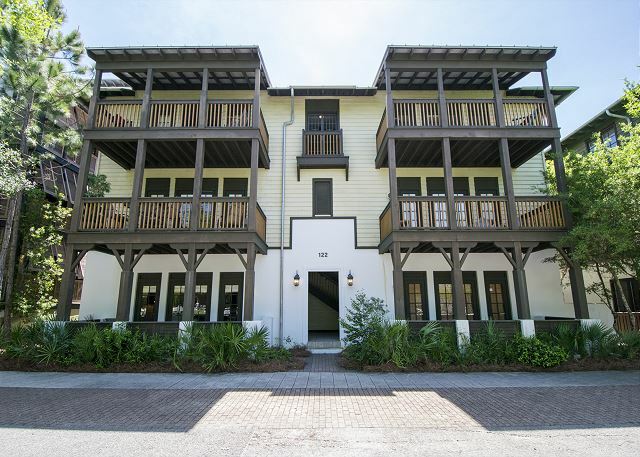 Situated on St. Augustine park, in the famed European-styled community of Rosemary Beach, you are within walking distance of the ocean. Your casual stroll to the private beach is shaded with natural vegetation and dotted with cafes, restaurants, boutiques, galleries, and a within the quaint atmosphere of the town. Whether you're looking for great food or to relax with a cocktail, be sure to check out Cowgirl Kitchen, Onano, or Paradis. Don't miss the dunes at sunset and afterwards, the walk around town is spectacular at night! There is also plenty to complement your beach time. 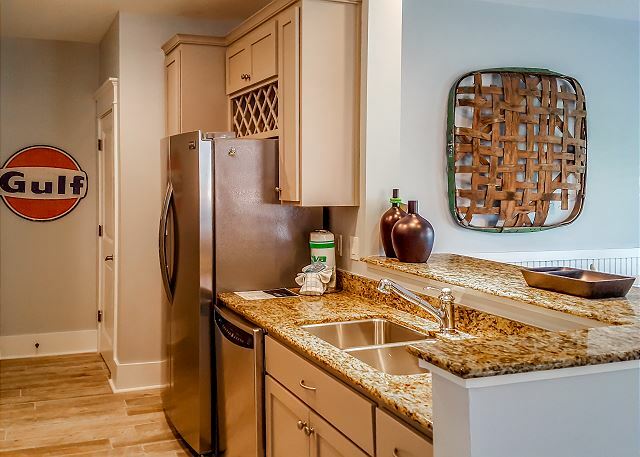 Rosemary offers 4 stylish pools, miles of paved biking trails, clay tennis courts, and a 2.3 mile fitness path. 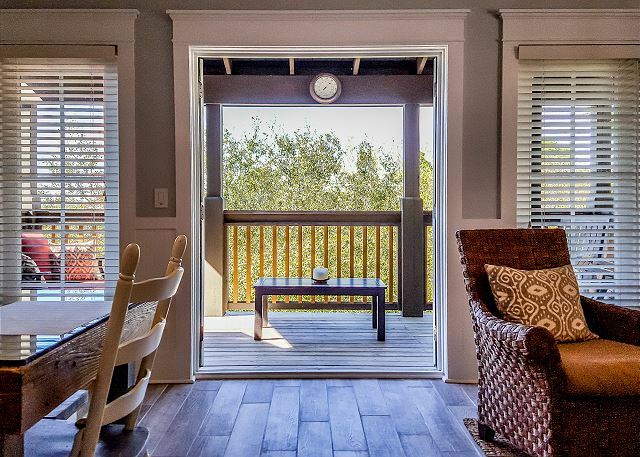 If you ever desire to go beyond Rosemary Beach, you can take advantage of all that '30A' has to offer. 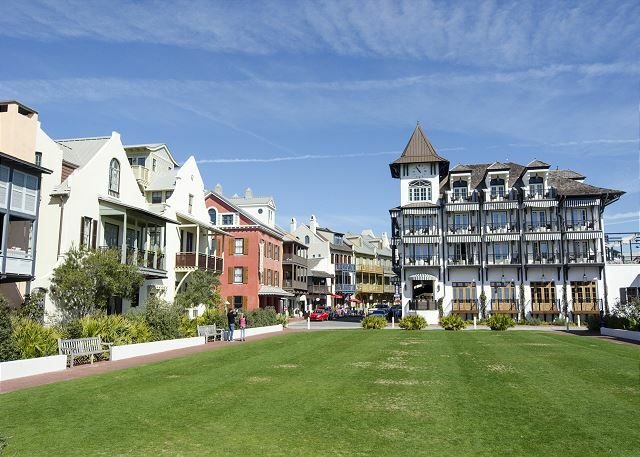 And if the intown shopping isn't enough, you're only minutes away from some of the most premier outlet stores. Thank you for taking the time to submit your review Elizabeth! We are glad you enjoyed your stay at Casa Ananda. It is such a great flat - plenty of space and in a great location. 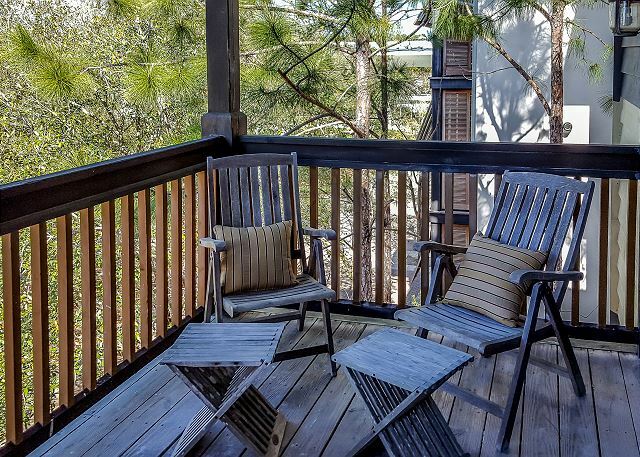 Located in Rosemary Beach you are within walking distance to great restaurants and fine boutique shopping. And of course - oh so close to the beach! Just a beautiful walk past the courtyard to the beach access. Casa Ananda is a little piece of heaven on earth! 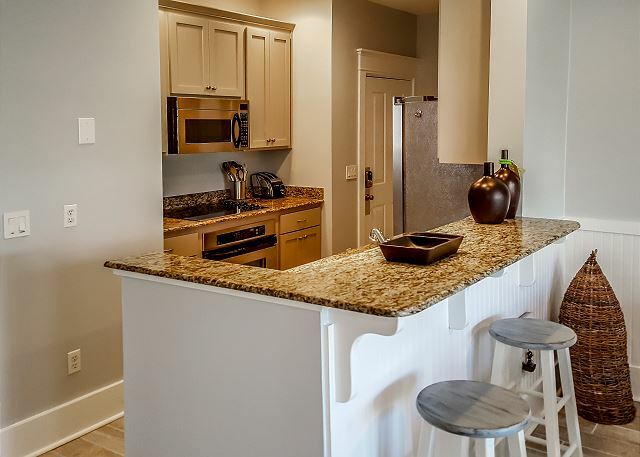 Don't miss your chance to experience the wonder of 30A and Rosemary Beach - call Benchmark today! Everything with Casa Ananda and Benchmark Mgmt was great. The location was exactly what we were looking for, check in was seamless, the whole process. Benchmark was responsive to the questions before and during our stay. Even though a huge amount of devastation to the east had occurred the week before, all was great at Casa Ananda. There was no cable, but that was the only amenity missing...and was kind of nice to unplug for a few days. Thank you for submitting your review - and we do appreciate your attitude toward the lack of cable! We did indeed get very lucky and we are so glad that everything remained intact at Casa Ananda. 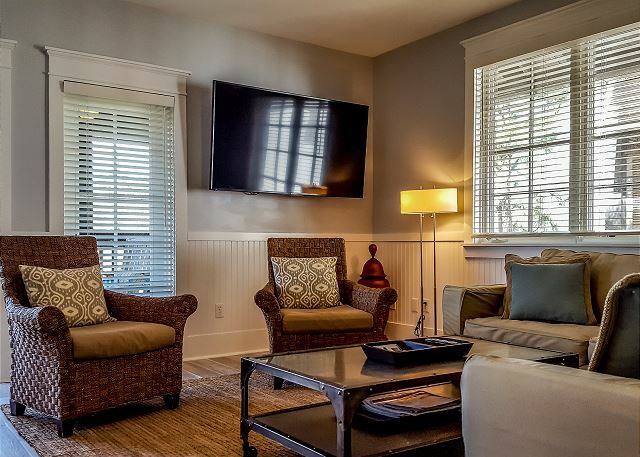 It would be a shame if more people don't get to experience the charm of Casa Ananda! 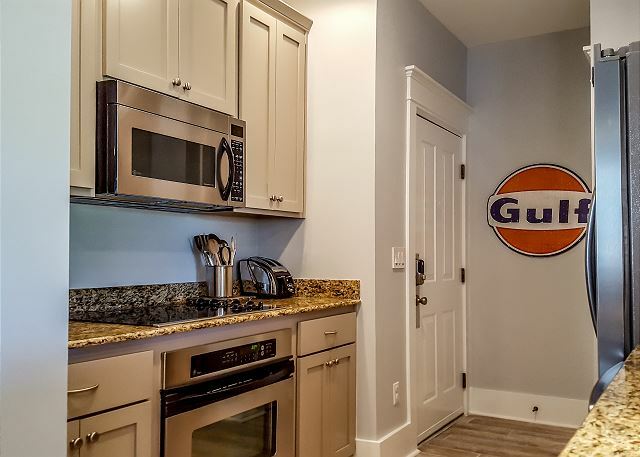 Located right in the heart of Rosemary Beach this gem is what you have been looking for - call Benchmark today and we will happily help you book your little piece of paradise! It was WONDERFUL! Would love to book it again for next year! 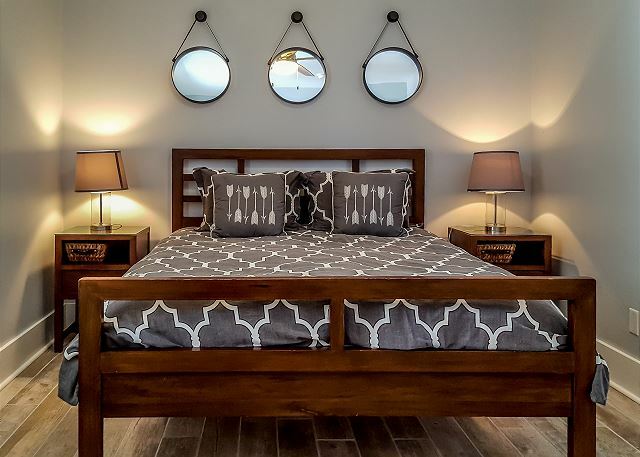 Casa Ananda has a beautiful, beachy vibe and feels brand new due to the recent renovations. Great location! Top floor made for a very quiet stay. Enough room for our family of 5. Our only issue was the dryer being broken the entire week, but a Benchmark manager was nice enough to do a load of laundry for us mid-week to get us by. Would definitely stay here again. Thank you for taking the time time to submit your review! We do apologize that we were unable to get the dryer fixed while you were here but always glad to help - even if it means picking up your laundry and getting it done ourselves! 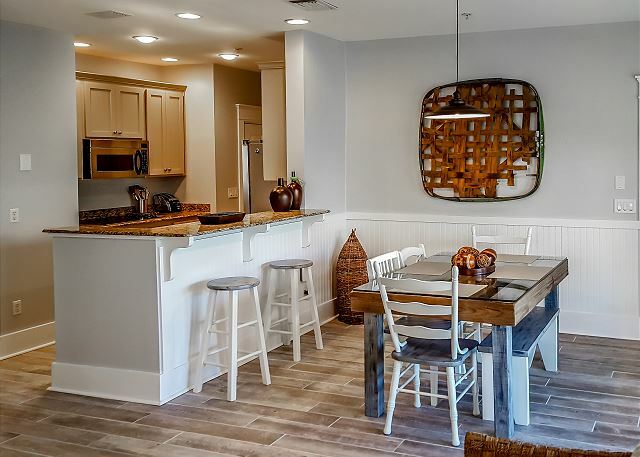 Isn't this a great condo in Rosemary Beach!! 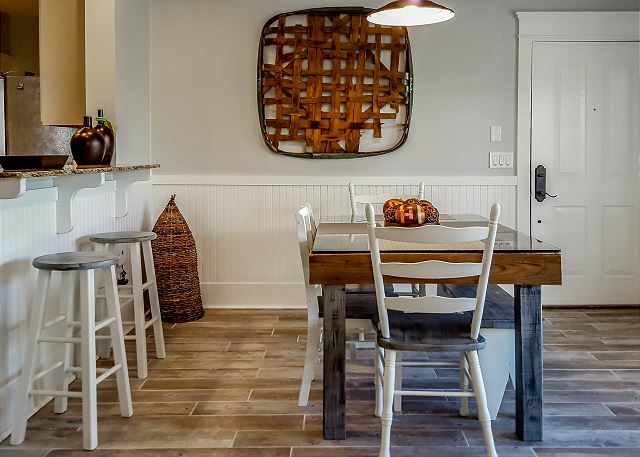 The recent updates are amazing and make this such a cozy unit for your family! And the location is superb - a beautiful walk down the cobblestone streets to fine dining and exquisite boutique shopping. Looking for a relaxing beach vacation - Casa Ananda is the perfect choice! Call Benchmark today to reserve your very own piece of heaven! Very nice, only minor complaint was the cleanliness of the bathrooms and towels. More cleaning and laundry supplies should have been provided. Thank you for submitting your review. We will be looking into the items you have mentioned as these are very important to us - we are currently in the process of updating our amenities so that part has been addressed! 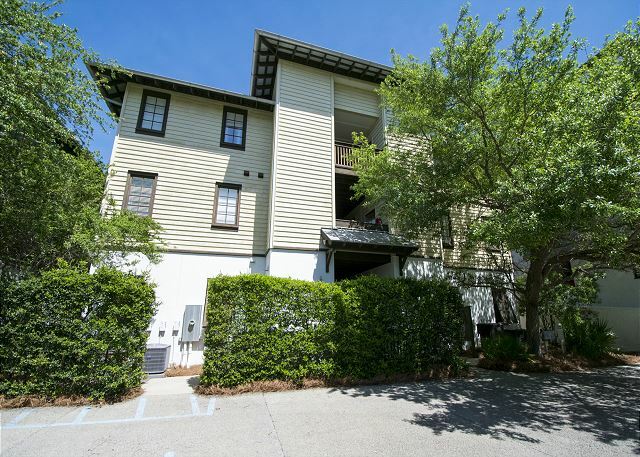 This is an adorable unit located right in the heart of the desirable Rosemary Beach - with so many things to do - shopping, eating and of course the beautiful beach! 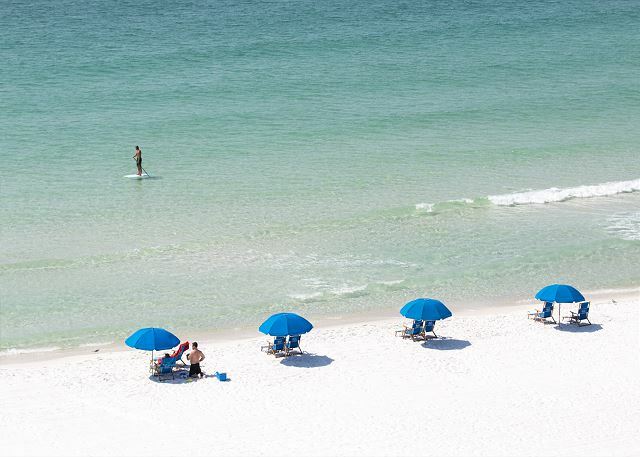 Call us today if you are looking for that perfect beach vacation - we have a place just for you! Casa Ananda was perfect for our family of 3! 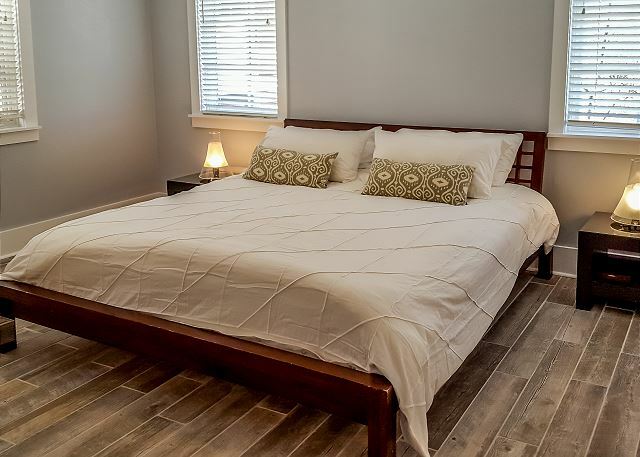 It was newly renovated, had beautiful new floors, fresh paint and was very clean. There were a few items that needed to be hooked up again, i.e. garbage disposal, ice maker and dishwasher, and someone was there to repair within an hour of notifying management. The location was perfect, beautiful park and pool across the street and a quick walk to restaurants, shopping, and the beach. 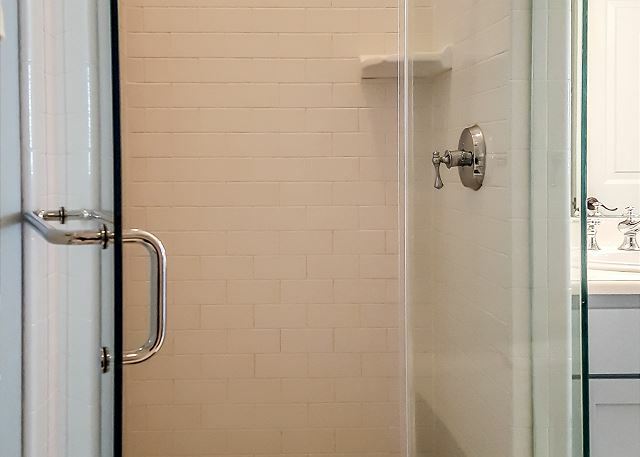 We highly recommend this unit and will definitely keep it on our favorites list! Thank you for a great Spring Break! Thank you so much - your review is greatly appreciated. Isn't Casa Ananda beautiful! 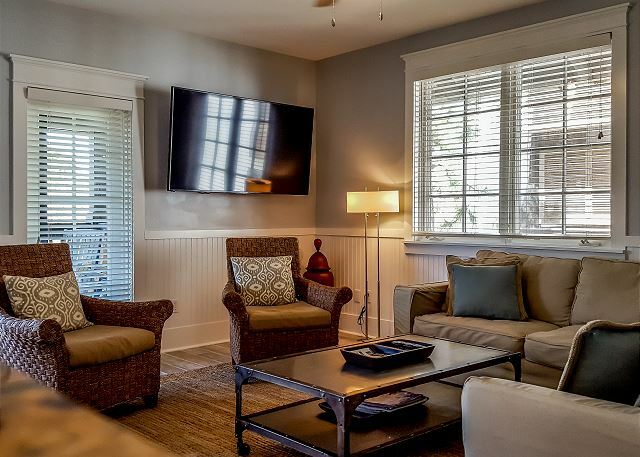 We are so happy with the renovations that the owner has completed for your comfort and enjoyment - and right in the heart of Rosemary Beach - what could be any better?! As menitoned, the new renovations are quite fantastic - all new paint and flooring throughout. 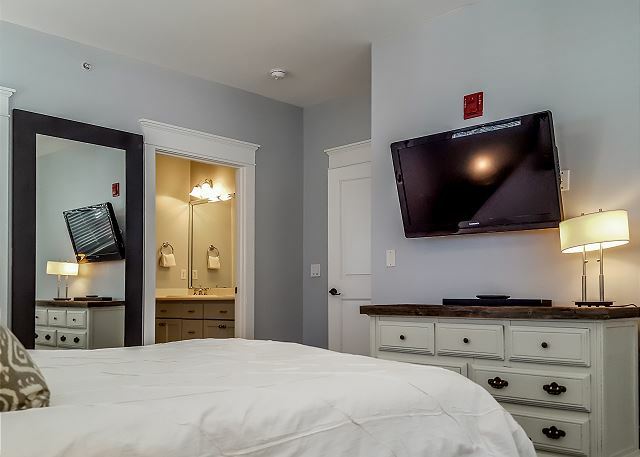 Updated bathrooms, countertops and a brand new extremely large flat screen TV! 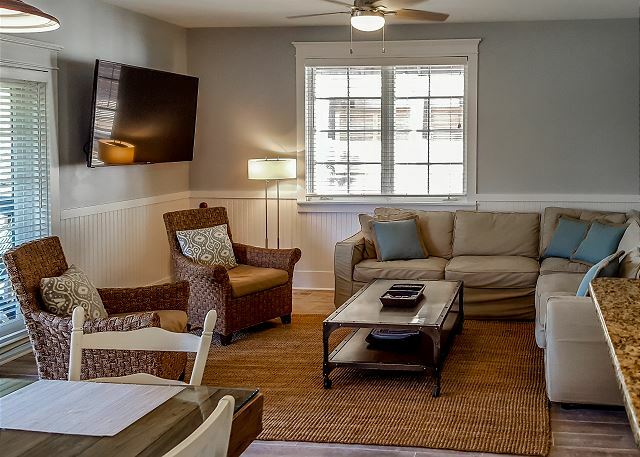 Come visit to experience all that 30A has to offer - Casa Ananda is truly too good to miss - call us today!